With the farming season across Eastern Australia shaping up to be very good with a full soil moisture profile and excellent commodity prices, the planned use of fertilisers will certainly help maximise yields and returns this year. To this end it is important to store liquid fertiliser in storage tanks like those supplied by Bushmans Tanks . Liquid fertilisers are the fastest growing form of crop nutrients due to their simple use and application. They can be applied in conjunction with crop protection products, are distributed to the crop more easily than solids, and allow the simple flexibility of split applications. Futhermore, liquid fertilisers have the flexibility of being able to add trace elements easily when required. To maximise the benefits of liquid fertilisers, on farm storage is key, as is making sure the right product or tank is used for the storage. Liquid fertiliser tanks must be compatible with the different types of products, remembering that many organic based fertilisers also come in liquid form and need to be stored on the farm in bulk. These liquid fertiliser storage tanks must also have a simple design for filling and emptying and perhaps most importantly, the tank must be robust enough to hold the weight of the fertiliser and have fittings that are strong enough to withstand the rigours of continual use. overflow in cases where the tank inadvertently is over filled. 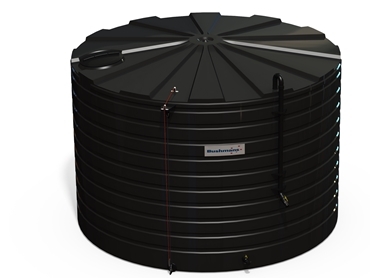 The strength and toughness of the liquid fertililser storage tank will minimise the risk of leaks that result in loss of product and can potentially cause a contamination issue. To ensure the best results from a liquid fertiliser it is important to choose the right product but also have the right storage tank.